The purpose of a town design statement is to set out the community’s aspirations for the design of future development of a town based on an analysis of its character. (See Countryside Agency 1993; Town Design Statements). Whilst the Town Design Statement is produced by and for the community it is intended that it be adopted by the local planning authority, Uttlesford District Council as a Supplementary Planning Document that will inform and amplify the policies within the LDF. 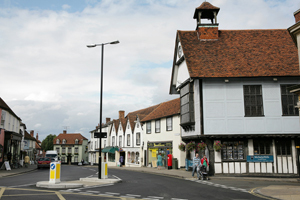 If this can be secured it means that the Town Design Statement will be used by the planning authority in coming to decisions on planning applications in Dunmow. The decision to adopt the Town Design Statement in this way is entirely down to Uttlesford District Council and it will require the Town Design Statement to have been subject to extensive public consultation and to have been subject to a Sustainability Appraisal. We believe that both of these criteria have been met.